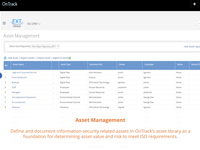 Organizations -- from corporations to law firms - that need to protect the sensitive and confidential information they handle. 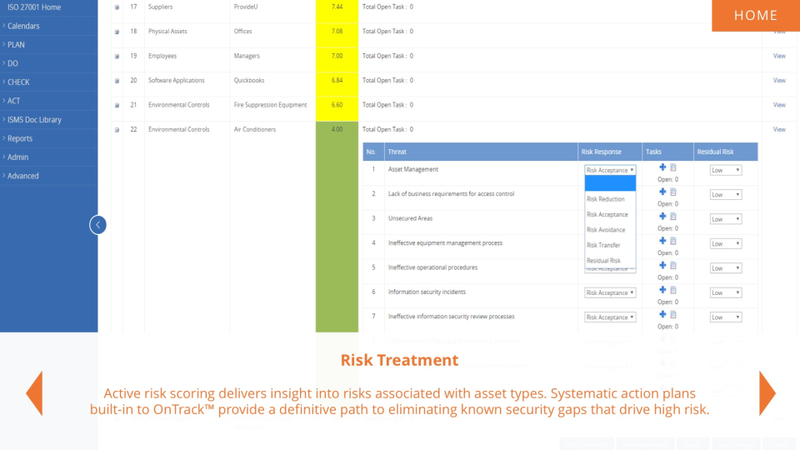 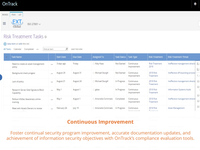 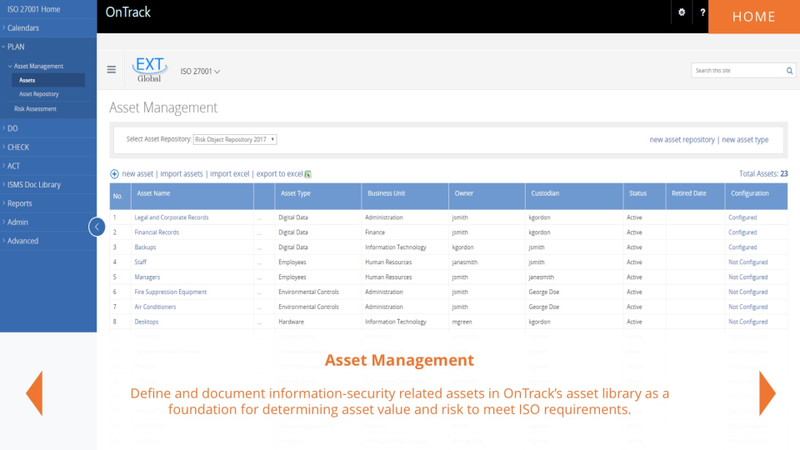 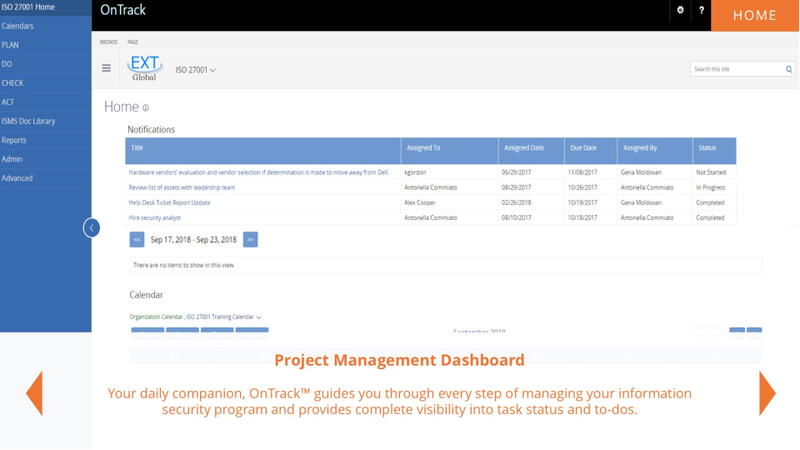 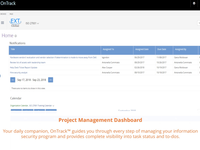 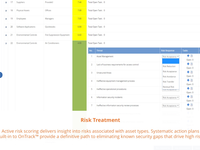 Built to simplify and streamline the process for creating and managing an information security program, OnTrack 27001 makes it easy to meet your security goals, manage ongoing compliance, and facilitate continuous improvement needed to meet ISO certification requirements. 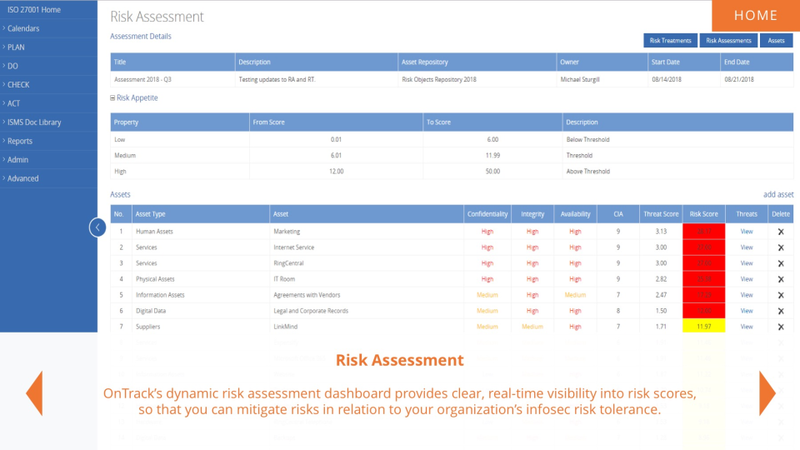 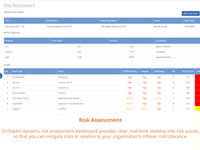 The system guides you through policy and procedure development, risk and threat assessments, employee training and communication, scorecard development, reporting, and more.